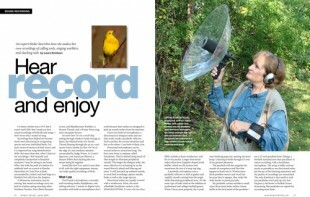 I’ve been a birder since 1975, but it wasn’t until 2001 that I made my first sound recordings of birdcalls and songs. I don’t know why I waited so long. 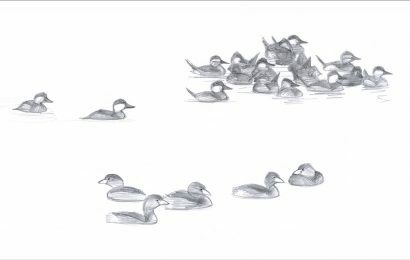 Recordings have helped me become much more discerning in recognizing species and even individual birds. 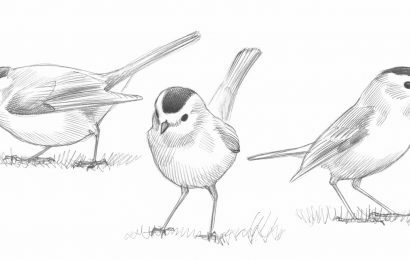 I’m more aware of nuances of bird voices, and I’ve improved my song-identification skills. But more than that, when I listen to my recordings, I feel instantly and completely transported to beautiful moments: I may be sitting in my home office, but with the push of a button I’m suddenly back on a porch at Rancho Naturalista in Costa Rica at dusk, surrounded by crickets and tink frogs as a Mottled Owl calls from the shadows. A Minnesota snowstorm may be roaring, but sound recordings carry me back to a balmy spring morning when Northern Parulas, Pine, Black-throated Green, and Blackburnian Warblers, a Hermit Thrush, and a Winter Wren sing, and a mosquito buzzes. Seconds later I’m on a small ship sailing through Alaska’s Inside Passage at dawn, the ethereal tones of a Varied Thrush floating through the air as a seal snorts from a nearby ice floe. Or I’m at the edge of a wet northern meadow surrounded by Sedge Wrens, Le Conte’s Sparrows, and American Bitterns, a distant Yellow Rail clacking like two stones being hit together. Sound like fun? It is, and it’s easy. Best of all, with the right equipment, anyone can make quality recordings of birds. You’ll need a microphone, a recorder and recording media, headphones, and editing software. Cassette or digital voice recorders with built-in microphones don’t work because their mikes are designed to pick up sounds inches from the machine. I have two kinds of microphones: a directional (or shotgun) mike and one that works inside a parabolic reflector. Each is perfect for certain situations and less so for others. I use both of them a lot. Directional microphones can be several inches to several feet long. The best come from a company called Sennheiser. They’re slotted along much of their length to eliminate peripheral sounds. The longer the shotgun mike, the more effective it is at homing in on the sound directly ahead and filtering out noise. 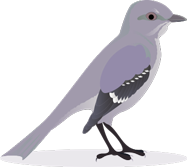 It will also pick up ambient sounds, so most bird recordings capture nearby birds as well as the target species. Directional mikes are usually covered with a windscreen. Mine, the most affordable Sennheiser system, is the ME66/K6/MZW66. It costs a bit less than $500, includes a foam windscreen, and fits in my pocket. Longer directional mikes often have Zeppelin-shaped wind baffles, which are the texture and sometimes the size of a mop-top dog. A parabolic microphone uses a parabolic reflector or dish to gather and amplify sounds coming from the target while eliminating peripheral noise. It’s the same type of mike used on the sidelines at professional and college football games. When I focus mine properly, the crystal-clear birdsong pops out, making my heart jump. Listening to birds through it is one of my greatest pleasures. The parabola will also magnify the sounds of mosquitoes and flies that happen to bonk into it. Windscreens block problem insects and wind, but because they’re opaque, they make the mike harder to point precisely. A fast and enjoyable way to learn natural-sound recording techniques and how to edit and analyze recordings is the Cornell Lab of Ornithology Macaulay Library’s weeklong Sound Recording Workshop. 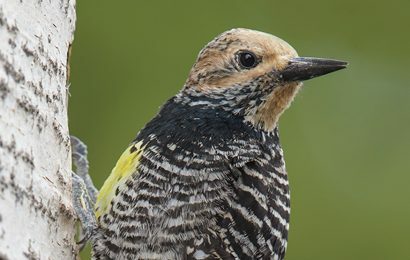 When I took the session in the Sierra Nevadas in 2001 as a beginner, I recorded a wonderful array of birds, including Marsh Wrens, Yellow-headed Blackbirds, and White-headed Woodpeckers. It was one of the finest and most worthwhile organized birding experiences I’ve ever had. Library curator Greg Budney and expert recordist Randy Little led the workshop. My parabolic system includes a small omni-directional mike within a foam baffle at the focal point of the parabola. I use a 22-inch parabola from Telinga, a Swedish manufacturer that specializes in nature recording, with a Sennheiser microphone. The setup is bulky and not nearly as portable as my directional mike, but the joy of the listening experience and the quality of recordings are unmatched. The only drawback is that small or mid-size parabolas won’t pick up very low frequency owl hoots or Ruffed Grouse drumming. But parabolas are superb for recording most birds. When I was in Costa Rica, I once took my microphone out of the parabola and set it in the middle of a hummingbird feeding station. It picked up all the buzzing, chirping, and trills in the area. A pair of Violet-crowned Woodnymphs flew in and inspected every millimeter, tracing the mike and cord to the minidisk recorder resting on a branch. I wondered if they thought the cord was a new-fangled snake. The recorder that captured that scene is no longer on the market. Most if not all minidisk recorders have been discontinued. That’s too bad because I continue to get great results with mine. Because my model doesn’t compress recorded sound, it produces high-quality renditions. It’s small enough to fit in a pocket or wrist-pouch, making it handy for field use, and each gigabyte disc holds an hour or two of bird recordings. Analog cassette recorders are also mostly gone from the market, although some recordists still use them. 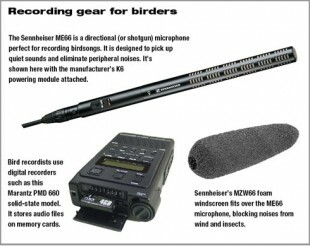 Most bird recordings now are made on digital recorders. 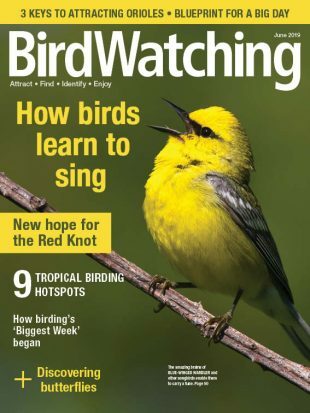 The good news is that the choices available to birders have expanded in just the last year. Professional recordists at Ohio State University’s Borror Laboratory of Bioacoustics and the Cornell Lab of Ornithology’s Macaulay Library use the Fostex FR2-LE field recorder (about $600), the M-Audio MicroTrack II field recorder (about $500), and the Marantz PMD 670 solid-state recorder (about $700). Marantz’s smaller, more affordable PMD 660 (about $500) is more suitable to hobbyists. The machines all store sounds as files on compact flash cards. The latest digital recorders are handheld models that allow users to create compressed MP3 files or uncompressed .wav files. Three models in this category are the Marantz PMD 620, the Edirol R-09, and the new Olympus LS-10. Each costs about $400. Data can be transferred easily to a PC or Mac with a USB cable or by removing the memory card and putting it in a card reader. Most of the field recordists I’ve observed use professional studio headphones that block out ambient sound so you hear only what the microphone is picking up. I’ve found that they work so well that sometimes, when I can’t see the source of a sound, I need to take them off to figure out what direction to point the microphone. Ear buds are more convenient because they permit me to hear what’s going on around me as well as what I’m recording. Buds on thin wires tangle easily, so I usually use models connected with a molded plastic headband. After recording, it’s time to edit. Audacity, a free open-source program (audacity.sourceforge.net), is excellent. It allows me to cut long recordings into shorter increments, delete noisy segments, filter ambient sounds, augment soft songs, soften loud ones, add voiceovers, or make other changes depending on how I want to use the recording. With it and my other equipment, I’m ready to head out into the field to record. 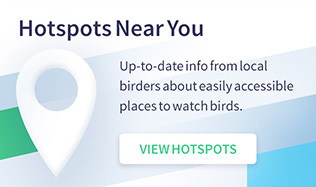 Good thing it’s April because the birds are already on their way back. 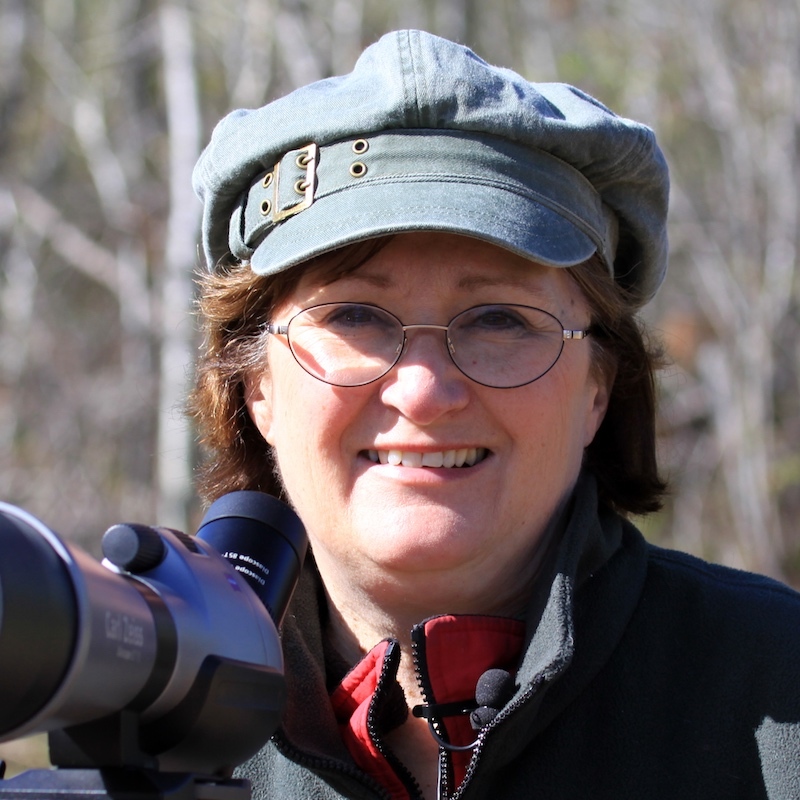 Laura Erickson is the author of 101 Ways to Help Birds (Stackpole, 2006), the writer and producer of the radio program “For the Birds,” and a frequent contributor to BirdWatching (formerly Birder’s World).